Influence and making an impact comes in many different forms. And here in AUGUSTMAN, we’re moved by industry shakers in all aspects of the term. 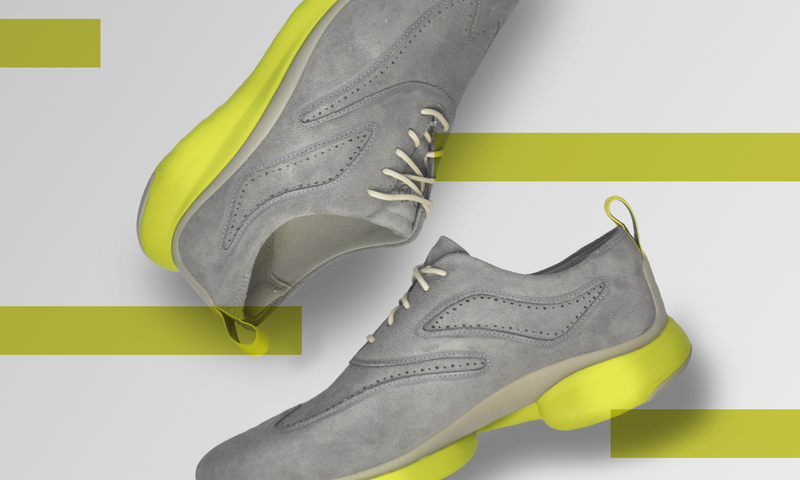 Which was why we are all on board with Cole Haan’s latest 3. ZERØGRAND Wingtip that was designed with the idea of breaking free from the past and pushing through to reach high standards in the footwear game. The third generation of the brand’s ZERØGRAND family preserves the ethos of providing top notch quality footwear in both form and function. And here, it proudly boasts its anatomical fit function that provides wearers with an ultra comfortable underfoot feel thanks to the brand’s revolutionary GRAND FIT CHASSIS soles. Support and stability are guaranteed as these special soles are crafted with Ortholite™ foam to hug and contour the foot shape from ball to heel while cushioning impact. Match that with the brand’s weight-distributing Grand.ØS energy foam, and you’ll get a durable pair of high technology footwear that can accompany you through distances daily without you having to suffer through discomfort. All that while displaying the brand’s desire to push boundaries and also secure its place in being the dressiest casual oxford available in its class. You would expect to see a pair of orthopaedic shoes with all that description said. But not the 3.ZERØGRAND. Cole Haan merged all that up-to-date footwear technology and combined it with a sleek and timeless wingtip design so it easily fits the lifestyle of a modern day man. Available in supple black or tan leather and ironstove suede, this design can update any look with minimal effort. Seen above is Aun Koh, the brain behind Chubby Hubby and co-founder of The Ate Group, sporting the 3.ZERØGRAND in tan leather with black soles. Now adding co-founder of Straits Clan to his impressive resumé, it’s little wonder why Cole Haan, who cites “disruption” as the campaign’s focus, picked the successful F&B entrepreneur to fit the shoe’s campaign as part of the brand’s Extraordinary Entrepreneurs collective. Both Koh and the 3.ZERØGRAND share the same ethos of breaking barriers to achieve progress in their respective fields. To top it off, the shoes also match Koh’s clean and polished aesthetic. Want to find out more about Koh’s recipe for success? Click on the video below, brought to you specially by Cole Haan, for more details. Available at Cole Haan stoes at #02-11 Paragon and #01-473 Suntec City (North Wing). Follow Cole Haan on Facebook and Instagram for further releases.